Crime Cats is an entirely entertaining chapter book series about a boy detective and his two cat friends, CatBob and Neil Higgins, with which he communicates whilst wearing an old chicken suit. 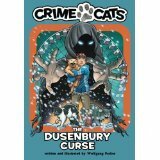 In Crime Cats, The Dusenbury Curse, the second book in the series, Jonas Shurmann’s good friend, Orville, is being watched. There’s something spooky lurking outside his mansion and whatever it is has CatBob scared. He won’t leave his post at the window and he keeps spraying inside the house. With an abandoned old amusement park and a hundred-year-old curse there’s lots to keep kids mildly spooked as this suspenseful story unfolds. 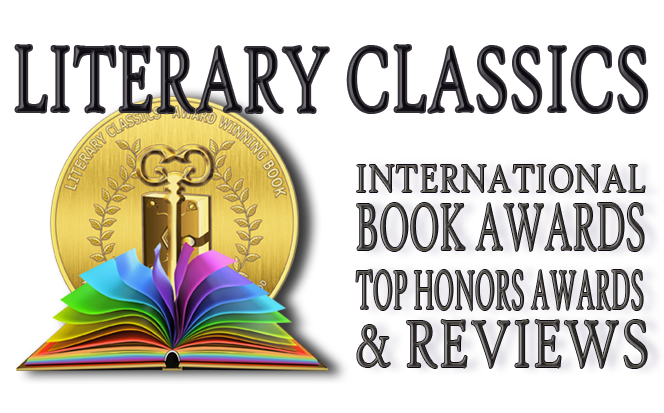 Recommended for home and school libraries, Crime Cats, The Dusenbury Curse has earned the Literary Classics Seal of Approval.